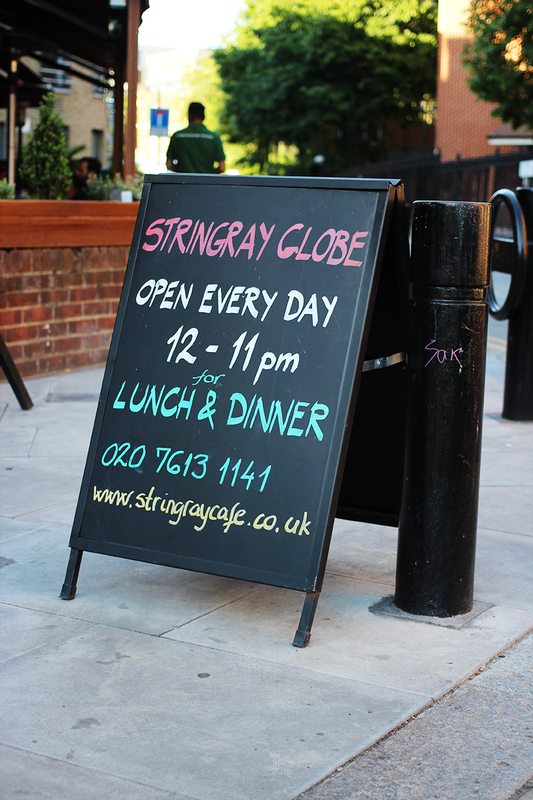 Stringray Globe Cafe is an Italian restaurant in Columbia Road (famous for it’s Sunday flower market! ), in the heart of Shoreditch. I came across this place on Instagram, as I so often do a lot places nowadays, and immediately knew I wanted to visit. I love the area a lot, the cafe looked cute and colourful plus they served gluten free and vegan options too – very good credentials, right? We finally headed there last Thursday and as the weather was amazing, the restaurant and its surrounding area really came to life. 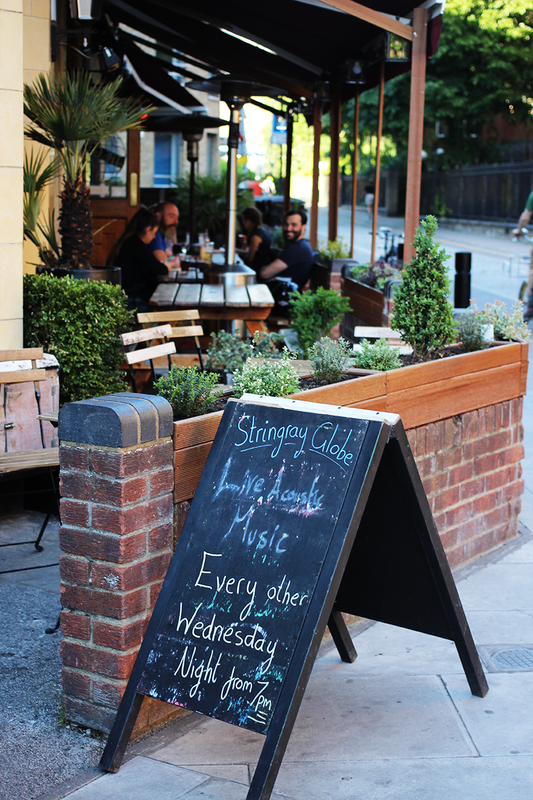 They have an outside seating area for sunny days (though it’s also covered in case of the inevitable summer rain!) and also a lot more tables on the inside. We got seated by the window like I had requested (gotta have that good natural light for pictures..!) and immediately received such amazing service. They remembered that I had asked about gluten free pizza and other allergens even though it had been a few weeks since I had talked to them, which just goes to show that they take these things very seriously! 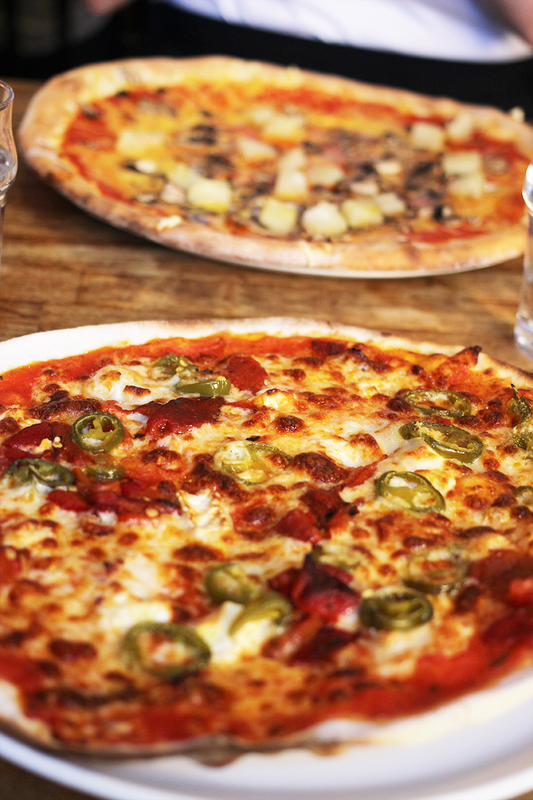 Although Stringray has lots of other Italian dishes in their menu too, we all still went with pizza as the options were amazing plus they have vegan cheese and the aforementioned gluten free base that I really wanted to try after hearing so many good things about it. 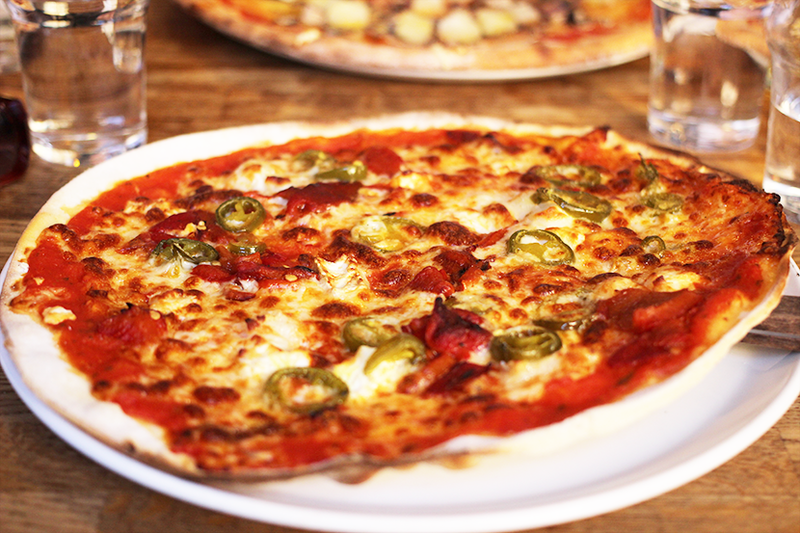 Two of my friends are vegans and tried out the vegan mozzarella which I was told was very good too – it looked like normal cheese and actually melted too which is definitely a win! 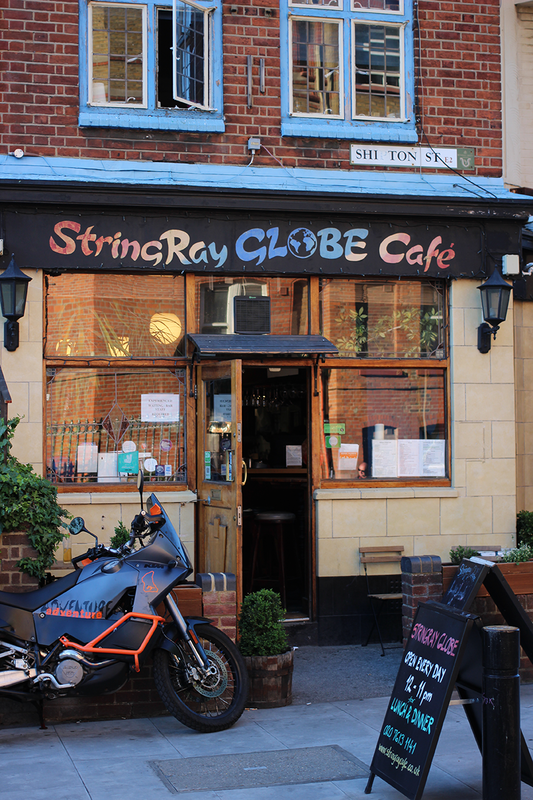 I would absolutely recommend visiting Stringray Globe for the lovely atmosphere (they kept playing classic rock songs and had pictures of legendary musicians on the walls! ), tasty food and very lovely service. The only thing I would say is that we waited for our bill quite long, so if you’re in a hurry, maybe ask for it as soon as you get the chance. But if you have time, just soak up the atmosphere and have a little stroll on Columbia Road afterwards – it’s actually very lovely when it’s not packed to the brim with all the people and flower sellers! The street has a feel of old East London and feels somehow detached (in a good way!) from the rest of the surrounding area, so that alone makes this place worth a visit too. 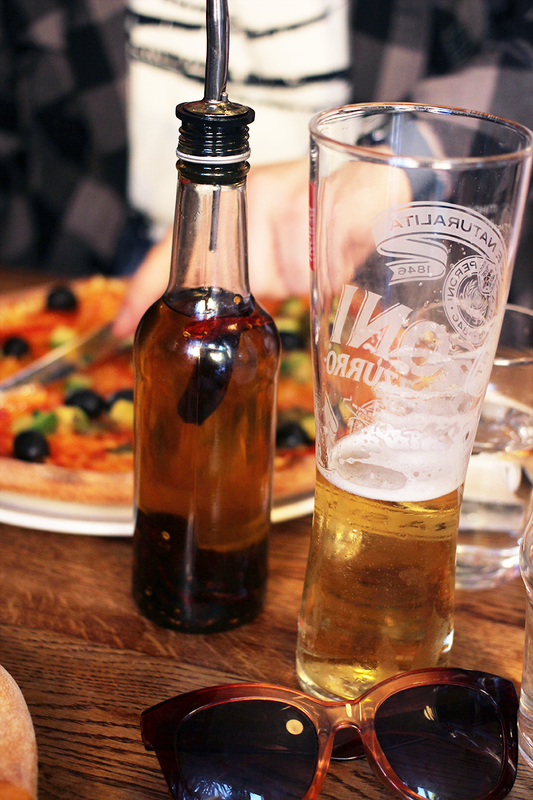 There’s also a very lovely pub called The Royal Oak just minutes away from Stringray which would be perfect for pre or post pizza drinks!